Currently browsing posts filed under "Commencement"
Happy Commencement to the class of 2018. Video stream should be here. Alas, I can’t figure out a way to embed it here. Or any readers at this morning’s ceremony? By the way, is the move of Commencement to the library quad permanent? I was under the impression that it was just temporary, caused by construction of the new science buildings. But this is the second (?) year in a row, so . . .
Chimamanda Ngozi Adichie, Nigerian writer and recipient of a MacArthur Foundation Fellowship, will be the principal speaker at Williams College’s 228th Commencement Exercise on Sunday, June 4. The day before, former U.S. Poet Laureate Billy Collins will be the Baccalaureate speaker. Both will receive honorary degrees at Commencement, as will former Williams College provost and current president of Washington and Lee University Will Dudley; public health and environmental advocate Gina McCarthy; and Gavin A. Schmidt, the director of NASA’s Goddard Institute for Space Studies. I thought it was a very interesting group of people. I appreciated that it was not solely academics (with apologies to Prof. Will Dudley! ), but included figures from “the real world,” including the former head of the EPA in the Obama administration and a NASA scientist. Presumably the selection of these two is intended to make a policy point that the College favors (and, of course, is not favored by some of EphBlog’s more prolific authors and commentors). I think the choice of Ms. Adichie as the commencement speaker could turn out very well, if she gives a speech geared directly to Williams. While not the highest profile commencement speaker (at least outside of literary circles, I guess), her profile suggests she is very accomplished and may have some very interesting ideas to communicate with the graduates and their families. More complete bios of the honorary degree recipients may be found here. Sigh asks if “anyone ha[s] thoughts about the commencement speakers?” Excellent question! Here is a listing. 1) I dislike it when the College uses someone like Bryan Stevenson as the speaker. (Whether or not he merits an honorary degree is a separate question.) Williams College commencement speeches should be special, written for the occasion and delivered by someone, ideally an alum, with a personal connections to the College. Bryan Stevenson gave, more or less, the exact same speech at Williams as he gave at Wesleyan two weeks ago, at Holy Cross last year, at Lesley last year, and so on. Isn’t that sort of pathetic? Shouldn’t the speech heard at a Williams commencement be original to the occasion? 2) Note that this is not Bryan Stevenson’s fault! He has no (realistic) choice but to give the same speech over and over again as he collects his two or three honorary degrees each year. The problem as far as I see is that Williams should have known this and known that when push comes to shove David Halberstam would not [care] about Williams College. If you bring David Halberstam you should expect to hear a speech that he gave two weeks ago, or if not two weeks ago than last year or five years ago. If Williams thinks of itself as a special institution, then we should find speakers who are so flattered to be receiving a degree that they write a personalized speech. As far as I know, Halberstam doesn’t have any legitimate connection to Williams. How about bringing back an alum who has gone on to do great things to give the speech… he would do a great job (see Jon Stewart’s speech at William and Mary). How about a parent. How about somebody who doesn’t get honored by everybody and their mother and thus would be truly honored by the degree. As good an idea now as it was in 2004. Lots of discussion about cultural appropriation at Williams over the last few years. Is this another example? Why or why not? The Taco Six would very much appreciate an answer . . . Thanks to former faculty member Wendy Raymond for the photo. Neither Rain, Nor . . .
Congratulations to the Class of 2016 ! 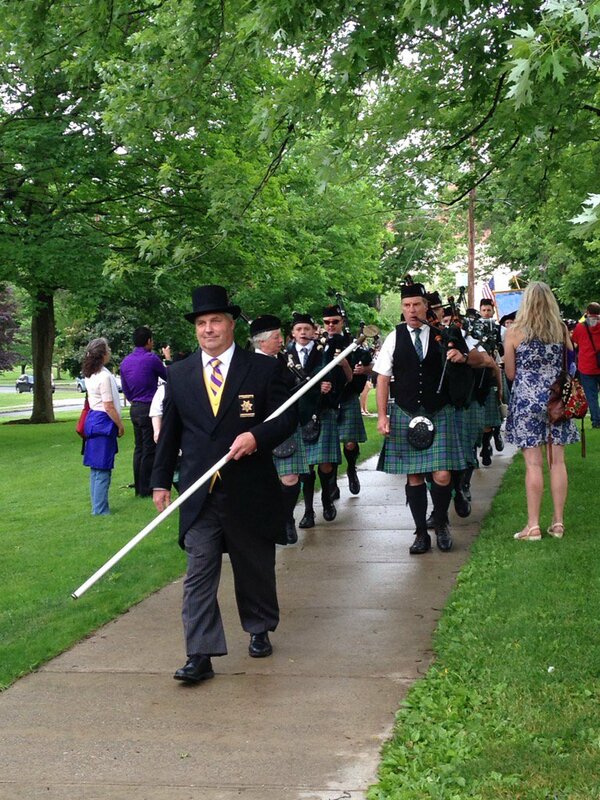 Williams College Commencement will be held OUTDOORS. Assemble alphabetically in the frosh quad at 9:00 a.m.
Procession steps off promptly at 9:30 a.m. for the 10:00 a.m. ceremony. Lansing Chapman Rink available for seating. Congrats to all the members of the class of 2016! Links in the comments to other methods for following along are welcome. Civil rights giant Julian Bond passed away last week at the age of 75. Co-founder of the Student Nonviolent Coordinating Committee, enactment of the Civil Rights Act enabled Bond to be elected to the Georgia House of Representatives — which refused to seat him. Bond took the legal fight over his election to the U.S. Supreme Court, which ruled in his favor 9-0, and Bond remained in the Georgia Legislature for the next two decades. A civil, calm, and eloquent face of the civil rights movement, he later became a professor at the University of Virginia and chairman of the NAACP, a post which he held for a decade. During his career, Bond wasa repeat visitor to Williams. In April, 1969, he came to Williams to advocate “Community Socialism,” speaking in Thompson Chapel to a standing-room crowd. Later, he returned as an Arnold Bernhard ’25 visiting professor in 1992, a keynote speaker for Dr. Martin Luther King, Jr. Day in 2000, and the Baccalaureate Speaker in 2005. At present, “America’s Black poor constitute a colony within the larger white nation,” Bond continued. In this system of colonialization the mother country steals from the blacks and gives nothing in return, he said. After Woodrow Wilson Professor of Government Emeritus James MacGregor Burns ’39 introduced Bond as a “healer” and unifier of the civil rights movement, Bond began his lecture by asking, “How do we speak about race in America without making people uncomfortable?” Race issues, he said, make people uncomfortable, but they must be discussed in spite of this. Bond noted that only his father’s generation separates him from slavery. His grandfather was born in 1863 in Kentucky. At age 15, he walked across Kentucky to Berea College. Fifteen years later he graduated and gave the commencement address. Bond said his grandfather demonstrated the attitude that will change race relationships in America. He berated those who want to replace race-based affirmative action with economic based affirmative action. “As long as race counts in America, we have to count race,” Bond argued. The end of “American apartheid” in the 1960s has made it too easy to believe discrimination has disappeared when, in reality, Bond said, it has not. Polls have shown that inequalities still exist in educational opportunities and rates of success for minorities in America. According to Bond, “race is a central fact of life for all non-white Americans.” He warned the audience about a “dangerous nostalgic narrative” in recent movies and books that eliminate civil rights violations and racial complexities from their portrayal of the past. Most of those who made the movement were not famous; they were faceless. They were not notable; they were nameless – marchers with tired feet, protestors beaten back by fire hoses and billy clubs, unknown women and men who risked job and home and life. As we will honor you graduates tomorrow for what you have achieved, so should you honor them for what they achieved for you. They helped you learn how to be free. They gave you the freedom to enter the larger world protected from its worst abuses. If you are black or female, their struggles prevent your race or gender from being the arbitrary handicap today it was then. If you belong to an ethnic minority or if you are disabled, your ethnicity or disability cannot be used to discriminate against you now as it was then. If you are Christian or Jewish or Muslim, your faith cannot be an impediment to your success. As you grow older, because of what they did then, you will be able to work as long as you are able. Your job – your responsibility – is to make these protections more secure, to expand then for your generation and for those who will soon follow you. Wherever you may go from here, if there are hungry minds or hungry bodies nearby, you can feed them. If there are precincts of the powerless poor nearby, you can organize them. If there is racial or ethnic injustice, you can attack and destroy it. Not every choice you make will be momentous. But in order to be ready for the momentous, you need to be guided by moral principles in the mundane. Don’t let the din of the dollar deafen you to the quiet desperation of the dispossessed. Don’t let the glare of greed blind you to the many in need. You must place interest in principle above interest on principal. An early attempt at ending illiteracy in the South developed a slogan – “Each One Teach One” until all could read. Yet ’tis truth alone is strong. May He watch over you. I don’t have any information about his stint as a visiting professor, so if there are any readers with recollections, please share. Today is Commencement. Congrats to the members of the class of 2015! Ursula Burns, the Commencement Speaker, would not have been chosen if she were not African American. Since this true claim will give our liberal readers the vapors, let’s take it one step at a time. 1) Ursula Burns is an immensely talented and successful business executive. You don’t climb the greasy pole at a Fortune 500 company without being extremely smart and ambitious (and lucky). Kudos to Burns for her many successes! 2) Williams never selects a Commencement Speaker whose main accomplishment is business success. Here is a listing of the speakers of the last 50 years. There is not a single speaker whose main/only accomplishment is in business. (Counter examples welcome!) The main categories are politicians/writers/academics. 3) There is nothing wrong with Williams not choosing business executives for Commencement Speakers. Maybe Williams thinks (wrongly) that executives make poor speakers. Maybe Williams does not value and/or want to honor success in business. Maybe Williams just values other things more. Whatever! 4) If Williams never chooses business executives, and then chooses Ursala Burns, we can conclude that Burns was chosen for some reason other (or some reason in addition to) business success. That reason is almost certainly the color of her skin (and maybe her gender). This is the sort of truth that no Williams faculty member or administrator will ever say, which is why we have EphBlog! 1) This conclusion would be falsified if Williams started to select speakers whose main/only accomplishment was in business, perhaps because of the increasing financialization of the trustees/college. Who wants to make that bet? Not me! I wager that, for the next ten years, there will be no non-black, non-alum business executive chosen as Commencement Speaker. 2) What about business executive Michael Bloomberg from 2014? Bloomberg was also mayor of NYC. Williams often has prominent politicians as speakers, including former NYC major John Lindsay in 1970. In other words, Bloomberg would have been chosen even if he were not a success in business. 3) What about Clarence Otis ’77, speaker in 2009? It is true that Otis’s main/only accomplishment is in business, but, first, he is also black! And, second, he is an alum. If Burns were an alum it would be hard to know if her skin color or her alumness was the key factor. 4) Surely there must be other business executives chosen over the last 50 years! Nope. Look at the list. My first reaction on hearing that Ann Bancroft was slated to be this year’s Baccalaureate speaker, was – Huh? I thought she passed away a few years ago – I was, of course, mistaking her for the other Ann Bancroft. This Ann Bancroft is living the life most actors might dream of portraying. Author, teacher and explorer, Bancroft was born in St. Paul, Minn., in 1955. Bancroft received her B.S. in physical education from the University of Oregon. She then became a wilderness instructor and gym teacher in Minneapolis before giving up her teaching post in 1986 to join the Will Steger International North Pole Expedition. After traveling for 56 days by dogsled, Bancroft, along with five other team members, arrived at the North Pole. The trip totaled 1000 miles starting from the Northwest Territories in Canada, and Bancroft was the only female member of the team. In 1993, Bancroft led the American Women’s Expedition to the South Pole, which consisted of a 67-day, 660-mile long trip on skis. In 2001, Bancroft and Liv Arnesen became the first team of women to ski across Antarctica’s landmass. Bancroft maintains a passion for teaching children. In addition to her teaching in Minneapolis, she has coached a variety of sports. In 2001, she founded the Ann Bancroft Foundation, a nonprofit organization that celebrates the achievements of women and girls. Bancroft is also included in a documentary featuring celebrities who have dealt with learning disabilities, as she was diagnosed with dyslexia as a child. Moving on to the Anne Bancroft Foundation, we read about her Dare to Dream program,where “micro grants” of up to $500 are awarded to fund experiences for underserved girls…and her annual Dream Maker Awards created to celebrate those who “encourage and support the achievements of girls and women”. With partner, Liv Arnesen, Bancroft co-founded Bancroft Arnesen Explore, where if you click on 2012, you can read about their upcoming adventure in which they will “lead a team of six women, from six continents, on an 800 mile, 80-day long expedition to the South Pole. It is no wonder she’s been inducted into the National Women’s Hall of Fame. Indeed, what a life! I look forward to hearing more from her. I am going to attempt a post on each of the speakers and honorees scheduled for this year’s graduation ceremonies. It’s a somewhat selfish endeavor in that it’s a good way for me to find out more about them before I arrive for the ceremonies. And what a truly special weekend it promises to be. There isn’t one guest I don’t look forward to hearing. I’ll begin today, with Commencement speaker, Cory Booker. The school announcement introduces him as “the Honorable Cory A. Booker, mayor of Newark, New Jersey.” Born in 1969, he was an All-American football player in high school (in Jersey) and a Varsity player at Stanford where he earned a B.A. in political science and an M.A. in sociology. After earning a Rhodes Scholarship, he went on to Oxford, and from there, earned his law degree at Yale. After some very helpful leads from Booker fan, Jeff Z (and Google, of course) I found much, much more. From Mother Jones (Nov. 2010), we learn of his fervent belief in “the power of small daily acts of love and kindness”, of his stint on the Newark City Council, during which he lived (for eight years) in a “troubled public housing complex”. We read of his bitter 2002 loss to the longtime mayoral incumbent, Sharpe James, whom he eventually beat in 2006, in an election so controversial it was documented in an Academy Awards nominated film called Street Fight. 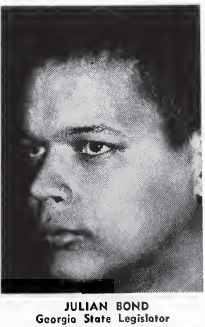 (James was later convicted of five counts of fraud by a federal jury.) Booker’s mayorship has been credited with significantly reducing crime and recidivism, slashing the budget before the recession hit, and inspiring Mark Zuckerberg to donate 100 million dollars to the Newark educational system. There’s more. Bill Moyers, calls him a “shining star reformer”. From the many NY Times articles, there is one devoted to his personal, and ongoing mentoring of “the boys”, three young men who’ve all had previous brushes with the law. From Time, we hear how he made headlines last winter by using Twitter as a public service tool, guiding efforts to bring help to snowbound citizens. Showing up on doorsteps with his own shovel, he inspired Twitter feeds like “I have a snowpocalypse crush on @Cory Booker“, and “superhero with a shovel“. Having never heard Booker speak, I linked to the 2010 commencement speech he gave at Pitzer, thinking I’d catch a few minutes of it just to get an idea. I not only watched the whole thing, but have been thinking about parts of it ever since. Booker is one accomplished and charismatic guy, and I am very pleased that I will be on campus to hear him. Seeing only one female student on the list of candidates for class speaker made me wonder and I looked at commencement archives. No female class speakers between 2003 and 2010. The archives start in 2003. In addition, only 3 out of 24 total speakers are female. If we don’t count the valedictorians, then only 1 out of 16 chosen speakers is female (this includes Phi Beta Kappa & class speakers). This makes me very uneasy. If you don’t think that this scientific fact plays a major role (not the only role) in the gender of Commencement Day speakers, then you are deeply uneducated. 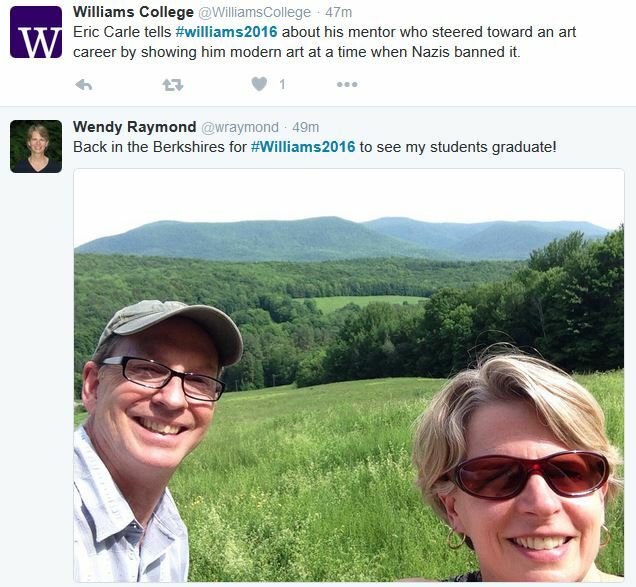 And that is probably partly the fault of Williams College. Would any Williams professor dare to point this out in a public forum? I doubt it. They all saw what happened to Larry Summers . . .
Susan Boyle to Speak at Commencement?! You read it at EphBlog first! Who is Susan Boyle? Ask Youtube. 1) Two Williams students have independently (?) reported the rumor. 2) Will Slack ’11 was on the committee (I forget which one) which picks the honorary degree winners and speakers. He also started Boyle’s Wikipedia page. Given these facts, what odds would you give on Boyle? 1) I dislike any Commencement Speaker who is not an Eph. So, I dislike this choice. 2) I am surprised at how negative the reaction is at WSO. If Susan Boyle is our graduation speaker, I will cry. Seriously Williams College? That was from Emily Spine, a long lost author at EphBlog. Come back Emily! We miss you. I would have expected students to be more supportive of a pop-cultural choice. Read the whole WSO thread. It is quite clever, at least if you are a Wikipedia geek like me. Comments Off on Susan Boyle to Speak at Commencement?! Greetings all. It’s been a while since I’ve posted, so please have patience with my rusty skills. I have been considering all of this, and would like to come up with a series of posts for Ephblog. I could use some help. With that in mind, reminiscences, suggestions, advice, ideas…anything having to do with that grand denouement that is Senior Year, would be greatly appreciated. I would also like to extend an invitation to any Williams seniors who would like to contribute, either here, or in your own post. Your perspectives on this amazing year would truly be a gift. We, as faculty and students, believe that not all students are taking full advantage of the educational opportunities that Williams has to offer as they select their 32 courses that will define their undergraduate studies. Many students here at Williams are overly conscious and concerned with their GPAs. As a result, some allow that concern (sometimes compounded by pressures from their families) to influence their curricular decisions. Unfortunately, there are students who would like to explore areas outside of their specializations (beyond their divisional requirements) but instead embrace a somewhat myopic view of their education and do not risk leaving the confines of their intellectual comfort zone. All perfectly reasonable. But there are many things that Williams could do to make students less “conscious and concerned with their GPAs,” especially the sort of talented students whose course choices are of the most interest to faculty like Ed Burger. 1) Replace the valedictorian as a Commencement Speaker. There are at least 10-20 Williams students who, at the end of sophomore year, have a realistic chance at being valedictorian. You can be sure that they want that position and that this desire affects their course choices. Making the valedictorian less important makes these students more likely to “to engage in areas outside their strengths.” Replace the “valedictorian speaker” with an “academic speaker” — naming suggestions welcome — someone chosen by a faculty committee who represents the “highest standards of Williams academics.” Instead of just basing this selection on GPA, the faculty committee could use (and make public) whatever set of standards it most wants to encourage among elite students. If you want more smart students to: take tutorials, write theses, explore 300-level courses in departments/divisions outside their majors or whatever, then select the academic speaker using those criteria. focus or “expertise”,” all they need to do is to make such an engagement (with some concrete guidance on how to achieve it) a requirement for graduating summa. That will cause the top 25-50 students in every Williams class to behave exactly how Ed Burger wants them to. Each year, besides publishing the list of summa graduates, the committee would release a detailed (but anonymous) discussion (just as the honor committee does) about what factors caused it to select some students over other students. In order to write a thesis, students normally must have a minimum GPA of 3.3 in their major courses and must submit a thesis proposal before the end of the spring semester of their junior year that earns departmental approval. In making its decisions, the Admissions Committee of the Williams-Exeter Programme at Oxford University takes student GPA into account, expects all applicants to have demonstrated capacity for rigorous independent work and extensive essay writing, and looks favorably on those students whose intellectual maturity, curiosity and enthusiasm would best prepare them for a demanding course of study in Oxford. If you want behavior X, then you need to encourage behavior X. If you don’t want behavior Y, then you need to stop rewarding behavior Y. Provide students with fewer rewards for maintaining a high GPA and they will worry less about their GPA. Honor students who engage in curricular risk taking and Williams will get more risk taking. … alums Jay McInerney as commencement speaker, Martha Coakley as baccalaureate speaker. A few thoughts … I have long advocated having, all things being equal, Ephs deliver these speeches. They are far more likely to tailor their speeches to Williams in particular, and to have something of relevance and potential resonance to impart to undergrads, as opposed to the typically trite, platitudinous, recycled commencement address (I’ve sat through or read quite a few at various institutions, and it always amazes me how uniformly bad they are). That being said, last year’s speaker, despite being an Eph, didn’t exactly light the science quad on fire, and I find McInerney to be an odd choice. I am guessing he will, at the very least, be charming / funny / entertaining, but it seems like Williams could have found an alum who is a bit more, errr, current. For example, if choosing a writer, why not Bethany McLean, author of The Smartest Guys in the Room (and no, I don’t just say that because she is gorgeous) … like McInerney, smart and well-spoken, but her areas of expertise would CERTAINLY be of a lot more interest / relevance to current undergrads. As a general rule, if someone has recently appeared on both Colbert and The Daily Show, they are likely to resonate with college kids. Coakley, on the other hand, I think is a brilliant choice. Everyone knows who she is, and she almost certainly will have something compelling to say about both success and failure. As for the honorary degrees, great call honoring local luminary Stephanie Wilson (the theme, if there is one this year, seems to be Berkshire County natives, as both Coakley and McInerney also hail from the region). The undergrads seem less than excited by McInerney as well. A few interesting tidbits from this thread. First, the list of speakers at small liberal arts colleges (notable exception: Maddow) shows just how hard of a time Williams and its peers appear to have in drawing big-name speakers for commencements. Second, I thought the comment about Coakley and the Guadino Option was brilliant … (speaking of which, I think the Gaudino Option itself is a great idea). Who would you want? I just read that e-mail and thought that if we form some kind of small consensus here on wso, then we can send e-mails to the committee and get someone who we would really like. 1) What e-mail? Please put it in the comments if you have a copy. 3) Suggestions from readers? Obvious choice is soon-to-be Senator Martha Coakley ’75. I am in favor of any alum. I am against (almost) any non-alum. 4) I first raised the issue of the ideological diversity of commencement speakers 6 years ago. The last identifiably Republican/conservative speaker was in 1996. An easy way to break that streak would be to invite Harry Jackson ’75. 5) The racial breakdown of Commencement speakers provided for a rollicking discussion last year, including an apology from me, prompted by Sam Crane and (then) Frosh Mom. During the last nine years, every speaker but one has been either Jewish or African-American. The exception, Morris Dees, was (I think) the most embarrassing. 6) Who can help us improve our knowledge of the history of Commencement Speakers as maintained on Wikipedia? If you remember who spoke in your era, add them. I confess to not watching this video, but I liked the citation for Glenn’s honorary degree. Any Commencement ceremony that honors an ex-Marine is fine by me. By the way, who writes these citations? A requirement for the new Williams president should be the ability to say that last line about “appertaining thereto” with a Frank Oakley accent. Graduates of that era will know what I mean . . .
And, I think about educators who came into my life after Watts — about people like the late Bill Oliver, our Calculus professor my first semester, freshman year, here at Williams. I recall how, as I struggled with the material, Professor Oliver chose to believe my challenges reflected poor preparation, not poor intellect, and so he tutored me one on one after every class for the entire semester. Yet, what struck me most, the most important statement Professor Oliver made about the legitimacy of my presence at Williams was not the tutoring; it was when he had me over to his home for Thanksgiving dinner that year. Do any readers have memories of Professor Oliver to share? I was sad that this speech did not include a description of how Otis came to Williams and a shout-out to Buster Grossman ’56. As the leading proponent of having alumni, like Otis, give the Commencement speech, I was, overall, disappointed by this effort. With the exception of the paragraph I quoted, there was almost nothing that was Williams-specific. But reading it and being there are two different things. How was it received in person? Examples of the help we received are all around us. In the Fall of our freshman year, I remember dozens of you sitting with me every Thursday night in the math and science resource center as the class tutor, Todd Shayler — who one of my entrymates still incorrectly insists was the actor who played Stiffler in American Pie — unlocked the mysteries we needed to understand in order to solve Professor Adams’ Multivariable Calculus problem sets. I have had the pleasure of buying Shayler lunch a couple of time and trying to share some words of wisdom about life in finance. At the time, I thought of this as part of my usual efforts to give advice to Ephs several years behind me in their finance careers. But now I can think of it as payback for Shaylor’s efforts with Nurnberg and his classmates. Baccalaureate Address by Anne Garrels. I was struck by this passage. I did not end up having my own children — not because I couldn’t but because I married the love of my life relatively late. My husband was older than I and already had children. He didn’t want more. It wasn’t an easy decision for me. Some friends said, “Hey, get knocked up, he’ll have to accept it,” but that wasn’t the way we dealt with things and that’s certainly not the way to start a marriage. Life is not what you expect it will be. Not having kids is one reason I ended up staying on the road for so long. What percentage of Williams graduates have children? Does it differ by gender? Thinking about my own class, it seems like childlessness is much more common among the women than the men, but perhaps that is just my class or my acquaintences or my (faulty) perceptions. EphBlog is powered by WordPress and delivered to you in 1.369 seconds using 51 queries..